On Monday morning the New York Jets introduced their new backup quarterback to the world in an unveiling that you don’t typically see reserves getting. Tim Tebow handled all questions lobbed at him in typical, classy Tim Tebow-esque fashion, but it felt like even he knew that sooner rather than later he would send Mark Sanchez to the bench for good. More than anything else, though, the Jets’ Tebow media blitz reaffirmed that this decision was mostly motivated by a desire to make headlines. It was typical Mike Tannenbaum, really – loud, flashy and completely unnecessary. A description that aptly describes acquiring Tebow too, when you think about it. Check out videos from the press conference below. We’ll update this piece with more clips as they become available. Virgin Airlines Offers Jets’ Tim Tebow Free Flights So Long as He Remains a Virgin? 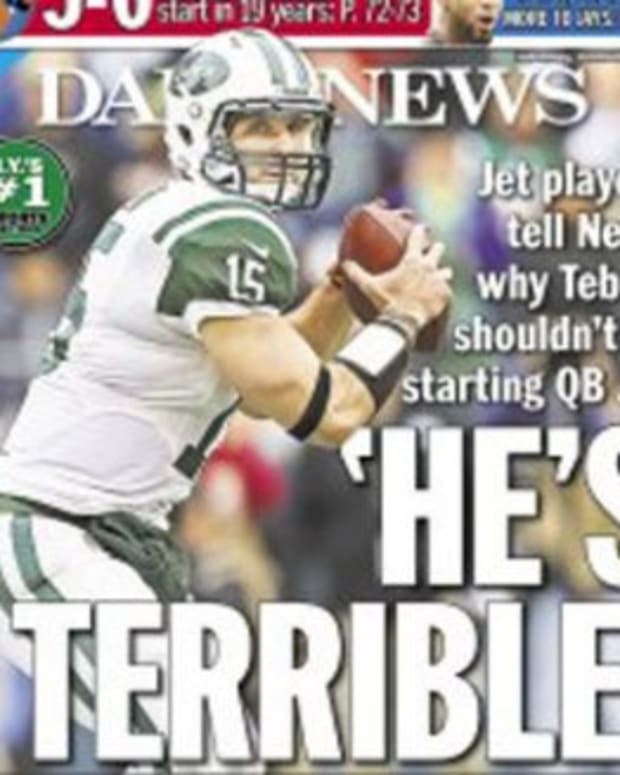 Tim Tebow Couldn’t Possibly Land with the New York Jets, Right? Denver Broncos Trade Tim Tebow to New York Jets; Bad Move? Can Tim Tebow Save the New York Jets?